Nationally Accredited for Critical Care Transport, 2017 – Dell Children’s Medical Center of Central Texas pediatric critical care transport team received full accreditation by the Commission on Accreditation of Medical Transport Systems (CAMTS) for helicopter, airplane and ambulance transportation. This is the highest designation by national standards for transporting the pediatric critical care patients. High Performer, US News & World Report, 2015-16 – For ranking No. 1 among 33 acute care hospitals for adults in the Austin metro area (Ascension Seton Medical Center Austin) for the fifth straight year and No. 12 among more than 600 Texas hospitals. 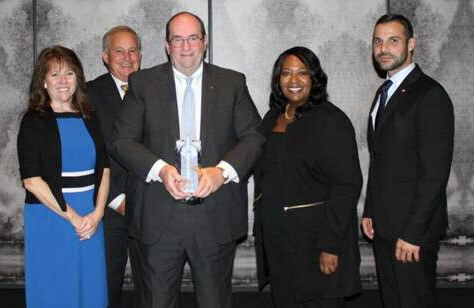 Austin Gives Generous Business Award – Community Leader, 2016 – The honor recognizes a local business with more than 400 employees that demonstrates exemplary philanthropy and a commitment to serving people in the Austin region. Ascension Seton RN Residency Accreditation with Distinction, 2016 – This is the highest recognition awarded by the American Nurses Credentialing Center’s (ANCC) Accreditation Program, a subsidiary of the American Nurses Association (ANA). CareerSTAT Emerging Frontline Healthcare Worker Champion, 2016 – The CareerSTAT Frontline Healthcare Worker Champion program recognizes healthcare organizations making exemplary investments in the skills and careers of their frontline workers. Organizations are designated as Champions and Emerging Champions. Champions meet all of CareerSTAT’s recognition criteria, including making skill and career development accessible, offering programs at a significant scale, measuring program business impact, and building sustainable programs, while Emerging Champions are in earlier stages of investment and are working with CareerSTAT leaders to strengthen their programs and achieve Champion status. CareerSTAT is an employer-led initiative of the National Fund for Workforce Solutions. Hospitals & Health Networks’ Health Care’s Most Wired, 2016 – The annual Most Wired survey is designed to measure the level of IT adoption in U.S. hospitals and health systems, and serve as a tool for hospital and health system leadership to map their IT strategic plans.